It is that time of year again, post Super Bowel prediction. This year was Super Bowl 49 between the Seattle Seahawks and the New England Patriots. If you want to catch up with what happened you can check out the highlights here but in short the New England Patriots won. What does this have to do with the stock market? 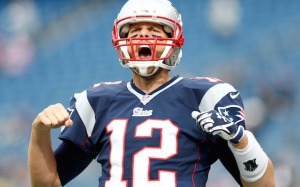 Based on historical trends an AFC win will suggest a rise in the stock market year on year. Last years (2014) Super Bowl was won by the Seahawks against the Broncos. 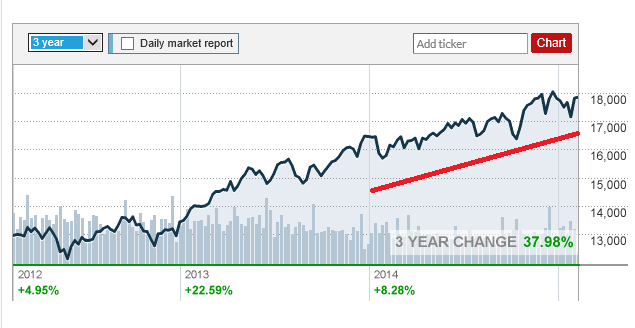 Based on the ‘theory’ this would have meant a decline in the Dow Jones between January 2014 and January 2015. Clearly, as seen in the chart below, this did not happen. Will this bizarre indicator work this year? Only time will tell.